Apple has released the fifth beta version of MacOS 10.12.5 Sierra, and iOS 10.3.2 beta 5 is also available. No new features are expected to be revealed in these beta versions, as the small point releases likely focus on bug fixes and security enhancements. Mac users participating in the beta testing program can find macOS 10.12.5 Sierra beta 5 available now through the Software Update mechanism of the App Store. iOS 10.3.2 beta 5 can be downloaded through the Software Update mechnaism within the Settings app. 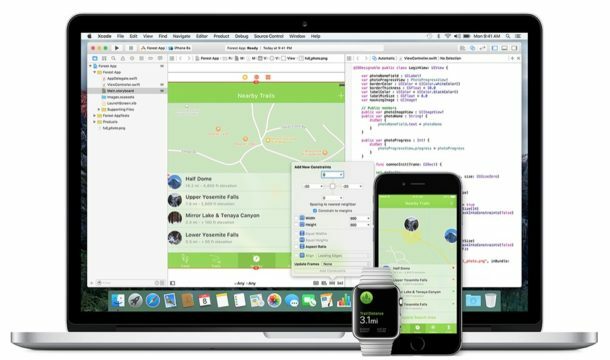 Beta versions of Apple system software are often released concurrently, so one might reasonably expect the 5th beta version of iOS 10.3.2 macOS 10.12.5 to come along with new beta builds of WatchOS and tvOS to surface soon as well. Anyone can choose to run beta releases of Mac OS and iOS but because they tend to be buggier than stable builds it is not generally recommended to do so, aside from developers or the particularly adventurous. Apple usually goes through a variety of beta releases before issuing a final version to the public, perhaps suggesting the final version of Mac OS 10.12.5 and iOS 10.3.2 could be issued in the coming weeks. The most recent stable builds of system software from Apple are currently Mac OS 10.12.4 for Mac and iOS 10.3.1 for iPhone and iPad.